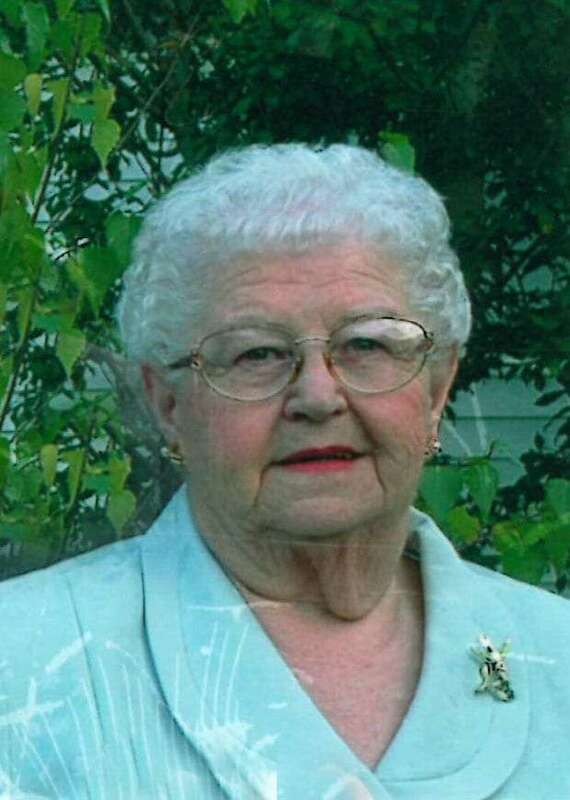 Marian Ruth Boardman, 88, of Manchester, Iowa, passed away on Sunday, December 13, 2015, at the Good Neighbor Home in Manchester. She was born on April 22, 1927, in New Holstein, Wisconsin, the daughter of Arno and Marcella (Konz) Matzen. Marian was raised and educated in the New Holstein area, and graduated from new Holstein High School. On May 28, 1954, Marian was united in marriage to Gerald Boardman in Sheboygan, Wisconsin. Two daughters were born to this union. Together they lived in Sheboygan where Marian was a seamstress, and then in Cedar Rapids where Marian worked in childcare. In 1995 they moved to Manchester to be near their daughter, Carol. Marian enjoyed crocheting, gardening, bird watching, and her grandchildren. Survivors include her husband of 61 years, Gerald Boardman of Manchester; two daughters, Carol (Virgil) High of Manchester, and Renee (Joe) Smith of Siloam Springs, Arkansas; six grandchildren, Joshua (Rhiannon) High, Justin (Jennifer) High, Jesse (Katie) High, Jasmine (Scott) Heckman, Michelle (Shawn) Pruitt, and Brad (Mandy) Peachee; and 12 great-grandchildren. Marian was preceded in death by her parents; and two brothers, Francis and Warren Matzen. Leonard-Muller Funeral Home is assisting the family.